THE Saudi teenager fleeing her family has been thrown a lifeline by the Australian Government, which indicated it was likely to grant her a humanitarian visa. 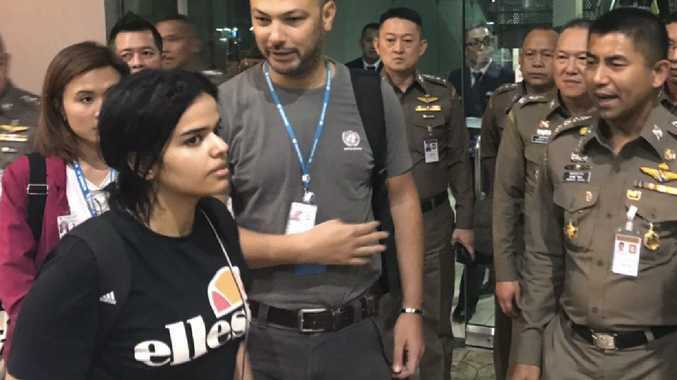 Rahaf Mohammed al-Qunun, 18, was planning to fly to the country on a tourist visa and apply for asylum but was detained by Thai authorities at Bangkok airport on Sunday. Australian Government sources said Ms Al-Qunun would be refused entry on the tourist visa because it did not reflect the real reason for her trip. But her claim for protection is now being assessed by the UNHCR in Bangkok, which will then pass the case over to Australian officials. The Department for Home Affairs said it was "pleased" at the developments and had made representations to the Thai government about its "serious concerns on this matter and the need for Ms Al-Qunun's claim to be assessed expeditiously." It said any application by Ms Al-Qunun for a humanitarian visa would be "carefully considered" once the UNHCR process has concluded. Immigration Minister David Coleman is "very likely" to grant asylum to Ms Al-Qunun, subject to normal security vetting pro­cesses, according to The Australian. "The claims made by Ms Al-Qunun that she may be harmed if returned to Saudi Arabia are deeply concerning," a Department of Foreign Affairs spokesman said. Reports said it was a diplomat from the Saudi Embassy in Bangkok who seized her passport to prevent her travelling to Australia. But Saudi Arabia's charge d'affairs in Bangkok, Abdullah al-Shuaibi, denied Saudi authorities were involved. Thai officials tried to make the 18-year-old board a flight back to Kuwait and on to Saudi Arabia on Monday but she refused, saying she fearing she would be killed by her father and brothers after renouncing Islam. 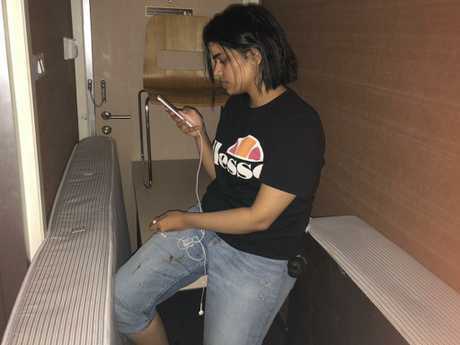 She barricaded herself in a hotel room at Suvarnabhumi airport for two days, while sending out desperate pleas for help over social media. "I'm rahaf mohmed, formally seeking a refugee status to any country that would protect me from getting harmed or killed due to leaving my religion and torture from my family," she tweeted on Monday. She appealed to Australia, Canada, the United States, Britain and other European nations, calling on Donald Trump, UK Foreign Minister Jeremy Hunt and prominent human rights lawyers to intervene. Officials at the airport allegedly at first refused to give the United Nations access to the teenager before representatives finally entered the hotel room and took her into UN protection. Ms Al-Qunun tweeted that her father had arrived at the Bangkok airport, which had "scared" her, but said she felt "safe" with the UNHCR. She was given her passport back and Thai authorities confirmed she had been granted temporary entry to the country. "She does not wish to go back and we will not force her. She won't be sent anywhere tonight," Thailand's immigration police chief, Major General Surachate Hakparn, said at a news conference at the airport. "She fled hardship. Thailand is a land of smiles. "We will not send anyone to die. We will not do that. We will adhere to human rights under the rule of law." Ms Al-Qunun's Twitter account has attracted tens of thousands of followers in less than 48 hours and her story grabbed the attention of governments, activists and well-known figures all over the world. Saudi Arabia enforces male guardianship laws, which require that women, regardless of age, have the consent of a male relative - usually a father or husband - to travel, obtain a passport or marry. Ms Al-Qunun said her male guardian had reported her for travelling "without his permission". She made her escape during a family trip to Kuwait, where she purchased flights to Thailand and Australia. The teen wrote of being in "real danger" if she is forced to return to her family, posting a copy of her passport to prove her identity. 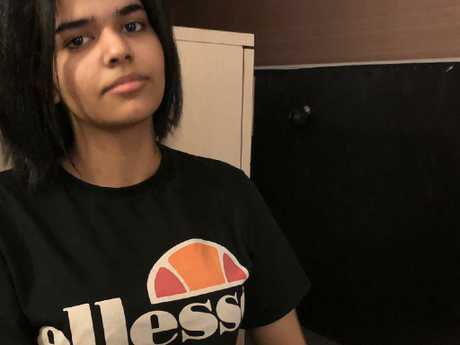 She said she would be imprisoned or worse if she was sent back to Saudi Arabia, telling Human Rights Watch she was fleeing abuse from her family, including beatings and death threats from male relatives, who forced her to remain in her room for six months for cutting her hair. "I'm sure 100 per cent they will kill me as soon as I get out of the Saudi jail," she told AFP, adding that she was "scared" and "losing hope". She said she had asserted her independence, but had been forced to pray and wear a hijab and alleged she had been beaten by her brother. "I am giving my family 48 hours (to) either stop or I will publish everything that will incriminate them," she threatened on Twitter. Human Rights Watch Asia division deputy director Phil Robertson questioned a statement by Thailand's immigration chief to the BBC that Ms Al-Qunun did not have a travel visa for the Asian country, saying she was in transit to Australia when she was detained and did not need a visa, which is available on arrival anyway. "What is truly appalling is how the Saudi Arabian government has acted in sending an official to physically seize her passport from her in Bangkok airport international transit," Mr Robertson said. "She is 18 years old, she has an Australian visa, and she has the right to travel where she wishes and no government should interfere in that." He said the Thai government "needs to explain why diplomats from Saudi Arabia are allowed to walk in closed areas of the Bangkok airport, seizing one of their citizen's passports". A Saudi activist familiar with other cases of women who have run away said they were often young and unprepared for the risks involved in seeking asylum. Speaking on condition of anonymity, the activist said there had been instances where Saudi women runaways were stopped by authorities in Hong Kong or the Philippines en route to Australia or New Zealand. In some cases, Saudi authorities were involved in forcing women to return to their families and in other cases, local authorities suspected the women of seeking asylum and deported them, the activist said. Saudi women runaways have increasingly turned to social media to amplify their calls for help. In 2017, Dina Lasloom triggered an online firestorm when she was stopped en route to Australia where she planned to seek asylum. She was forced to return to Saudi Arabia and was not publicly heard from again, according to activists tracking her whereabouts. The latest incident comes against the backdrop of intense scrutiny on Saudi Arabia over the shocking murder of Saudi journalist Jamal Khashoggi last year, which has renewed criticism of the kingdom's rights record. Crown Prince Mohammed bin Salman had styled himself as a reformer, with women recently granted the right to drive, but these cases raise questions over how the regime exercises control.